Tea is one of the most wonderful beverages in the entire world. Tea is one of the most wonderful beverages in the entire world. As such, it should be little surprise that many cultures around the globe are fond of it. 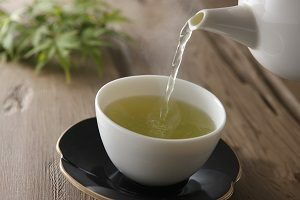 Here are some interesting tea traditions from all across Asia – it’s not just about pitchers of iced tea on the front porch like it is often thought of here in America! In China, tea is a serious business. At first, it was thought of as a vital medicinal supplement. But ever since the Emperor found it delicious, tea has become one of the most important parts of Chinese culture. There are many different rules about how to properly enjoy the taste of the tea you are drinking. People have been visiting teahouses on a daily basis since the time of the Ming dynasty. That’s where tea takes center stage, much like how it has become the most important part of any meal. Tea is also a meaningful way to greet guests when they enter your home – much as you would offer your visitor a drink and a slice of cake here. The Gong Fu tea ceremony is also supremely important. This is where preparing and pouring tea becomes a fusion of art and science. These are often used for special occasions such as weddings and parties. Japan has its own tea ceremony, called cha-no-yu. This version of the tea ceremony calls on guests to reflect on their own humility, along with the uniqueness of the moment, what the weather is like, who your companions are, and how everything is balanced. Each ceremony is different, although completing one ceremony can take several hours at a time. Many specialized tools are used to help prepare the tea, but that is not the only way tea is consumed in Japan. Black tea is a popular breakfast beverage, and oolongs are hugely popular at meal times. Canned and bottled teas have also made being on the go and enjoying some tea a breeze. Tea was not a huge concern in India. At least, it wasn’t until the British arrived. Tea plantations arose to supply the massive British demand for more of the brew. India has its own traditions now, though, although they aren’t as formalized as the ceremonies in China and Japan. Chai tea is the most popular tea, often drunk with street food such as samosas. Drinking tea at home, at work, walking around shopping, and traveling has all become commonplace, much like coffee here at home in the United States. Lotte Plaza Market is your one-stop shop for all of your Korean and Asian grocery needs. With more than 10 locations in Maryland and Virginia, this growing market is always expanding and opening new markets to serve our customers better. Since we opened in 1976, our goal has always been to provide the best customer service and groceries to our customers. For answers to all of your questions, email us at LottePlaza.com. This entry was posted on Friday, December 7th, 2018 at 10:26 am . You can follow any responses to this entry through the RSS 2.0 feed. Both comments and pings are currently closed.